You can hear an audio adaptation of my story The Sun Falls Apart on the Hugo-winning podcast StarShipSofa this week. The Sun Falls Apart is about a teenage boy named Caleb who has never seen the sun. Boarded windows and a fortified door have kept the outside world a mystery his entire life. The only way out is passing the strange tests his parents conduct on him–tests that require Caleb to grasp at a power he doesn’t understand. This story won 1st Place in Writers of the Future last year, and was originally published in Writers of the Future Volume 32. 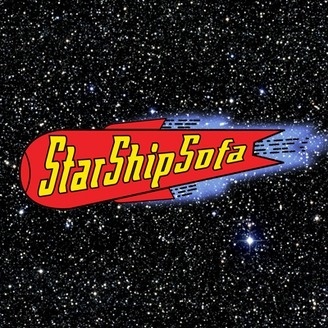 Now StarShipSofa brings it to life with the help of narrator Spencer DiSparti. This is my first publication with StarShipSofa, but it's the third time I've had the pleasure of hearing an audio adaptation of my work, and I always get a kick out of it. It's particularly interesting to hear how the narrator interprets your characters versus how you hear them in your head. It can be a learning experience! Very cool! It's both exciting and scary to hear someone else read your work. I've finally gotten comfortable with hearing someone read mine. It's definitely a trip. I really get a kick out of it. Thanks, Alex! Hope you enjoy it, Krystal! Thanks very much!